Turkish president Recep Tayyip Erdogan is in Berlin as part of a three-day visit. 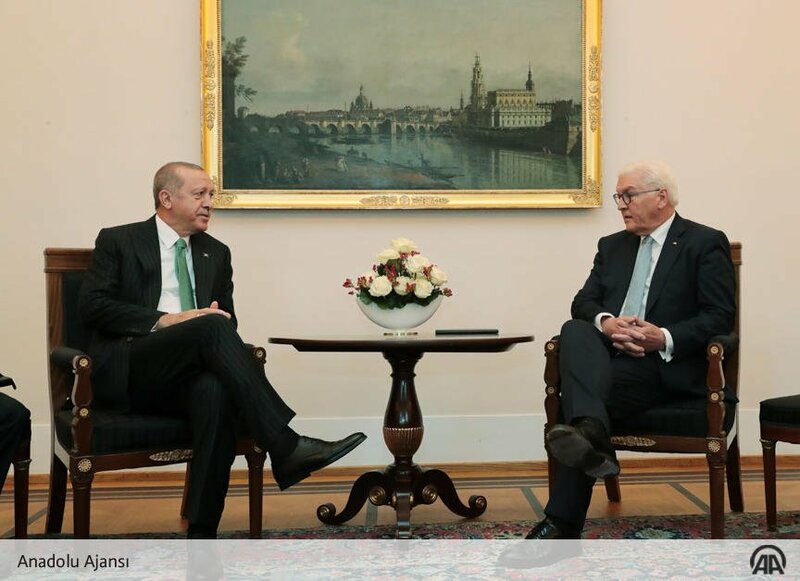 German President Frank Walter Steinmeier greets #Turkish President Erdogan with a military ceremony at Bellevue Palace. Erdogan to meet his German counterpart Frank–Walter Steinmeier and hold talks with Chancellor Angela Merkel. President #Erdoğan l arrive #Germany Thursday for a high-profile state visit aiming to improve political and economic relations between the two countries. During his three-day visit, Erdoğan will meet his counterpart Frank–Walter #Steinmeier and will hold talks with #Merkel.